Get the book that inspired the mug for FREE! The Rock Star Cowboy is yours FREE just for signing up for my newsletter. Sign up now and get the book delivered straight to the device of your choice. Want more Rock Star? 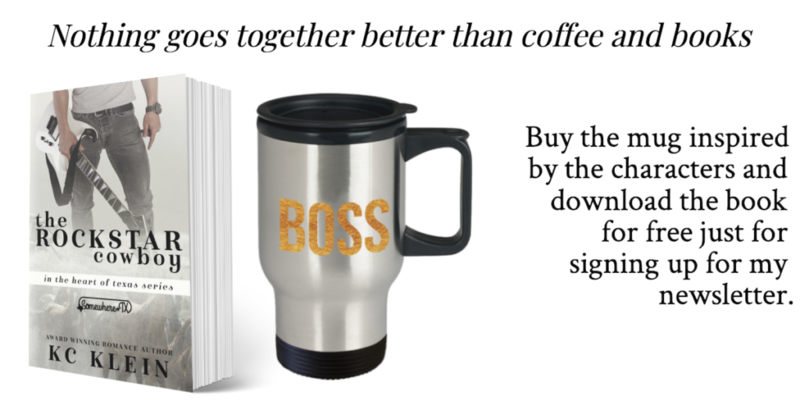 Click here to get the coffee mug that’s inspired by the book. Read the extra scene and see what secret DJ is hiding from Brent and how the coffee mug becomes their inside joke. Have an idea for the perfect mug for Brent? What would it say? How would DJ give it to Brent? I would love to hear your suggestions. Comment below and tell me what you think. Love coffee mugs, leggings, and t-shirts? Shop at my KC’s Cool Stuff store and find your next favorite thing!